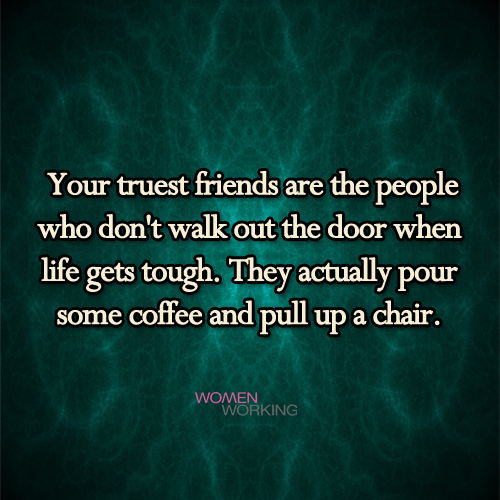 Your truest friends are the people who don't walk out the door when life gets tough. Your truest friends are the people who don’t walk out the door when life gets tough. They actually pour some coffee and pull up a chair.